Seven MPs have joined the Party of Regions faction. Verkhovna Rada Chairman Volodymyr Lytvyn announced this during the parliament's morning session on Tuesday. 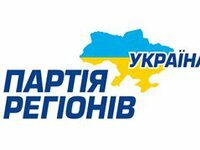 Individual MP Vasyl Kyseliov (who was elected on the lists of the Party of Regions), Ihor Savchenko (elected on the lists of the Bloc of Yulia Tymoshenko), Andriy Verevsky (elected on the lists of the BYT), Volodymyr Ivanenko (the BYT), Oleksandr Shepelev (the BYT), Petro Kuzmenko (the BYT) and Inna Bohoslovska (the Party of Regions) joined the faction of the Party of Regions. Lytvyn also announced that MP Stanislav Dovhy had left the Our Ukraine-People's Self-Defense faction and joined the Lytvyn Bloc's faction.